She is gorgeous! The only reason NOT to spay would be to breed her. But breeding should only be done to further/better the breed, not because you want puppies, or think you will make a wad of money. Plus you need to research, find a mentor, have health certificates for hips, etc, which are costly. Plus you would be responsible for vet care for both mom & pups & find loving responsible homes. There are many risks involved in pregnancy & whelping, plus the costs of shots for up to 10 pups. Please do have her spayed, it is not a hardship on the dog & makes your life easier as mentioned in the other post. Plus: it cuts out the whole issue of hygiene issues during the heat cycle and, last but not least, it stops the ability of your dog reproducing which helps cut down on the possibility of adding to our current pet dog overpopulation. It's not too late to have your dog spayed - just talk to your vet to get more information about the process and what is involved - both before and after the operation. 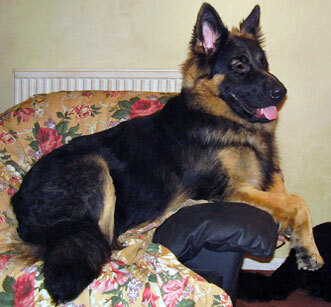 Plus you can read a little more about spaying and neutering your GSD right here.